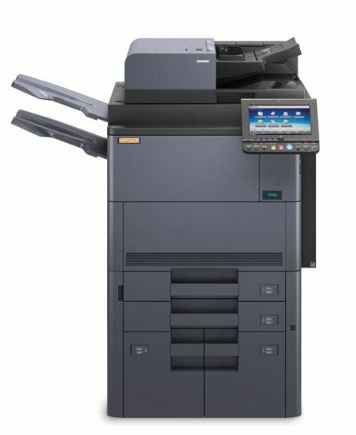 UTAX 7056i MFP – 8056i MFP – The new b/w systems now operate at a high resolution of up to 1,200 dpi. This ensures that fine lines, line drawings, degree dissertations and also simple Office documents look sharper and more professional. The 8056i can output up to 80 A4 and 40 A3 pages per minute. The warm-up time of approx. 30 seconds.